Makani Themba-Nixon assists with media and training for activist organizations. She is is founding Executive Director of The Praxis Project, a nonprofit organization helping communities use media and policy advocacy to advance health equity and justice. Current projects include Policy Advocacy on Tobacco and Health (PATH)— a Robert Wood Johnson Foundation Initiative to build tobacco control policy advocacy in communities of color; as well as numerous tools and resources that help people translate local problems into progressive, effective policy initiatives. She is the older sister of Robin D G Kelley. Makani Themba grew up in New York, in the Harlem/Washington Heights area. Her mother was a single parent whose "politics were informed by her spiritual convictions". She was a member of the Self-Realization Fellowship. Paramahansa Yogananda. "I was extremely fortunate to have been born to a mother and grandmother who are committed justice activists. My mom and my grandma were active in a number of movements during the 1960s including peace efforts, civil rights, quality education and trade unions. I was introduced to great books and speakers, ideas and actions that helped to shape who I am today. It is a constant reminder of the importance of relationships in movement building. Most of us join this work as the result of the personal invitation by someone we love and/or trust." Makani Themba is executive director of The Praxis Project, a nonprofit organization helping communities use media and policy advocacy to advance health justice. Under her leadership, The Praxis Project has raised more than $20 million for advocacy organizations working in communities of color nationwide. Makani was previously director of the Transnational Racial Justice Initiative (TRJI), an international project to build capacity among advocates to more effectively address structural racism and leverage tools and best practices from around the world. While at TRJI, she co-authored and edited a "shadow report" on institutional racism and white privilege – the first of its kind. Prior to that, she directed the Grass Roots Innovative Policy Program (GRIPP) a national project to build capacity among local organizing groups to more effectively engage in media and policy advocacy to address institutional racism in welfare and public education. She was a staffer for the California State Legislature, served as media director for the Southern Christian Leadership Conference/Los Angeles, and worked five years for the Marin Institute for the Prevention of Alcohol and Other Drug Problems, including three years as director of its Center for Media and Policy Analysis. Makani has published numerous articles and case studies on race, class, media, policy advocacy and public health. She is author of Making Policy, Making Change, and co-author of Media Advocacy and Public Health: Power for Prevention, a contributor to the volumes Community Based Participatory Research for Health, Prevention is Primary: Strategies for Community well Being, We the Media along with many other edited book projects. Her publications have helped set the standard for policy advocacy work and contributed significantly to the field’s current emphasis on media and policy advocacy to address health problems. She has also co-authored with Hunter Cutting is Talking the Walk: Communications Guide for Racial Justice. Her latest book, a collaboration under The Praxis Project with contributions from Malkia Cyril and others, is Fair Game: A Strategy Guide for Racial Justice Communications in the Obama Era. "Like a lot of young African Americans, especially growing up in New York City, where the Black Panther Party had a presence and had a free breakfast program in our area, where Black Nationalism was in the fabric of social life, you just can’t help it. Race becomes the dominant factor. It was not until I got to college and then listening to my sister, that we began to move towards Marxist/Leninist politics. That led both of us to join the Communist Workers Party. To go from the All-African People’s Revolutionary Party to the Communist Workers Party made sense in the early 1980s. It may not make sense to young people today." Makani and i were especially sensitive to issues of Black-Asian unity, since we were both students at UCLA, where the Third World Coalition built strong ties between African American, Asian, and Latino students. And we were members of the communist Workers party...with strong roots in the Asian American and Black Liberation movements. We were as concerned about the racist murder of Vincent Chin as we were with the murders of Michael Stewart and Eleanor Bumpurs. But by 1986, were feeling thoroughly defeated. The Jesse Jackson campaign was supposed to be the Left's great moment to build a radical grassroots movement...Then the CWP imploded, shedding its Marxist base and re-inventing itself as the New Democratic Movement in 1985. The party adopted adopted the line that "knowledge workers", or left of liberal technocrats were the movement's future. Makani and I didn't stay much longer. This was my motto when I was chair of the Black Student Alliance at UCLA back in the early 80s. Arvli Ward did the design. Thanks to Mandla Kayise for the photo! Approximately 3,500 marchers attended the "Survival Day 84" march and rally in McArthur Park Los Angeles Sunday August 5 1984.The event was the culmination of a week of disarmament and and anti-imperialist solidarity events known as "Survival Fest 84." The organizing coalition was dominated by the Communist Workers Party front Federation For Progress. Coordinators of the rally were Makani Themba (Federation For Progress and Communist Workers Party member), Carol Ono and Judy Chu (MC with Jim Ladd. They were supported by a "working committee" which included Julio Asturias, Rev. Gene Boutilier, Bob Erlenbusch, Rev. Rev. Dumas Harshaw, Rev. Aisand Riggins, Berta Silva and Mike Young. Makani Themba was previously director of the Transnational Racial Justice Initiative (TRJI), an international project to build capacity among advocates to more effectively address structural racism and leverage tools and best practices from around the world. While at TRJI, she co-authored and edited a "shadow report" on institutional racism. Prior to that she directed the Grass Roots Innovative Policy Program (GRIPP) a national project to build capacity among local organizing groups to more effectively engage in media and policy advocacy to address institutional racism in welfare and public education. She was a staffer for the California State Legislature, served as media director for the Southern Christian Leadership Conference/Los Angeles, and worked five years for the Marin Institute for the Prevention of Alcohol and Other Drug Problems, including three years as director of its Center for Media and Policy Analysis. Themba-Nixon directed the Grass Roots Innovative Policy Program, a national project to build capacity among local organizing groups to more effectively engage in media and policy advocacy to address institutional racism in welfare and public education. Makani was the director of the Transnational Racial Justice Initiative, an international project to build capacity among advocates to more effectively address structural racism and leverage tools and best practices from around the world. Themba-Nixon is Executive Director of The Praxis Project, a nonprofit organization helping communities use media and policy advocacy to advance health equity and justice. Current projects include Policy Advocacy on Tobacco and Health (PATH) - a Robert Wood Johnson Foundation Initiative to build tobacco control policy advocacy in communities of color. Endorsers of the project included Makani Themba-Nixon, The Praxis Project. In 2009 Makani Themba-Nixon was listed as an endorser of the Center for Labor Renewal. In 2009, Makani Themba-Nixon was listed on the Board of Directors for Africa Action. The Praxis Project (National) - Makani Themba-Nixon, Kaajal Shah. In 2011 Rev. Lloyd Wake and Makani Themba recieved APPEAL awards. 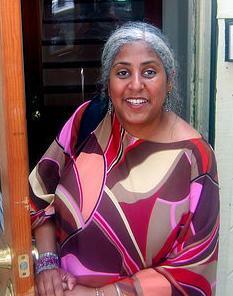 Makani Themba-Nixon is a consultant with RoadMap, a Freedom Road Socialist Organization affiliated consultancy group . Those invited, on Facebook included Makani Themba-Nixon. Makani Themba I am so grateful to God and the ancestors for your birth. You are the grounding energy that I never knew I needed in my life. So encouraging and loving. Your food is always delicious and your conversation intriguing. Thank you for loving me as well as you do. Our movement is better daily because of your contributions to it. You are not just a wonderful mother to your own children but to all of us. I can't wait to continue building our tender friendship. Happy birthday! I love you with my whole heart. ❤️🖤💚 — with Jaribu Hill, Makani Themba and Efia Nwangaza. Makani has published numerous articles and case studies on race, media, policy advocacy and public health. Making Policy, Making Change (Jossey-Bass publishers), This book examines media and policy advocacy for public health through case studies and practical information. This page was last modified on 21 December 2018, at 04:40.